Have you seen flooded blocks of ice in a river? Glaciers are much like these ice blocks, but their size is comparable to mountains. Glaciers are large bodies of ice on a land area of the earth. They cover a large surface area that is about 10% of the total land area of our earth. They are very abundant near the south and north poles, but they are also found high on mountains e.g. the Himalayas. Glaciers don’t sit still, but they constantly move. 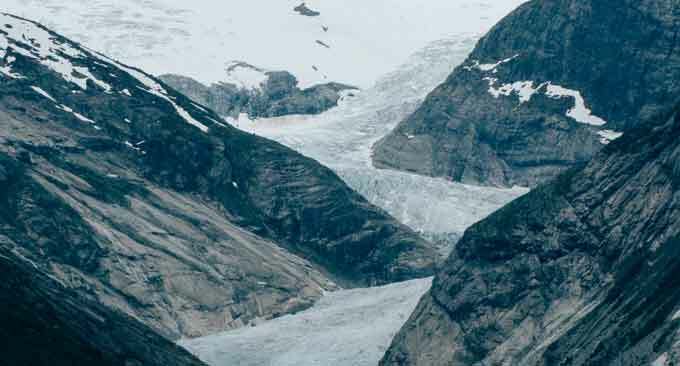 The movement speed of glaciers depends on their size and shape. The slow-moving glaciers have the speed of few feet a year, whereas fast-moving glaciers may cover several feet in a single day. Glaciers are classified by two ways; one is according to their morphology and the other is according their thermal state. 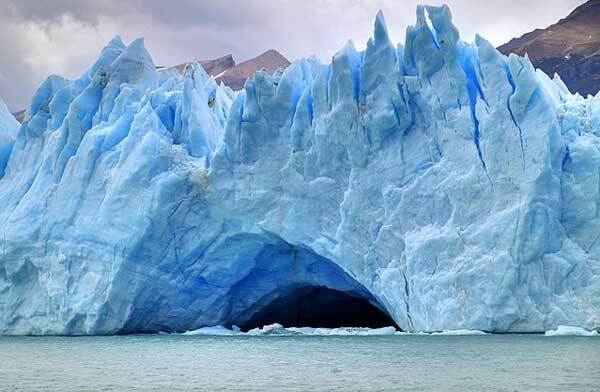 In morphology, glaciers are classified according to their structures. While thermal state classifies them according to their temperature. Well, here are a few types of glaciers that you should know. Mountains – whose peaks are very high – have lower temperatures at their top. So, water can only exist there in ice form and precipitation happens as snow. Slowly and gradually the precipitation forms masses of ice called cirque glaciers. Furthermore, Cirque glaciers form on the top of very high mountains and on their slopes. Valley glaciers are formed when precipitation happens as snow and starts to fill the valley. The ice that is formed above compresses the ice below. As a result, the ice becomes dense and grows upward that completely fills the valley which is known as valley glacier. Ice caps are one of the largest glaciers. They cover the land and mountains completely to make a large glacial body. These glaciers don’t exceed more than 50,000 sq km area. Continental Glaciers are the largest glaciers of all the types. These glaciers cover area more 50,000 sq km. These glaciers are found in Polar Regions like Antarctica and Greenland. Glaciers are formed in the regions where the temperatures throughout the year are below freezing point e.g. polar regions and mountain tops. Glaciers start to form when snowfall happens on a region and don’t melt. Further, snowfall continues and compresses the ice below it due to its weight. The compression makes the ice denser and continual of snowfall further grows the height of ice. This process continues and results into giant glaciers which usually takes hundreds of year to become large. Glaciers are very important for the stability of our global climate and for many animals including humans. They are good indicators of global warming and provide us with very useful resources. The most useful resource that glaciers provide is fresh water. Many rivers of the world are fed entirely by the melting of glaciers. For example, Himalaya mountain range has a large glacier called Gangotri Glacier. This glacier provides the fresh water to Ganges River in India. Global warming is a major issue faced by our earth due to human activities like the burning of fossil fuels. Glaciers give us clues about how much global warming has worsened. Glaciers indicate global warming by melting due rise in the average temperature of our Earth. Glaciers are no doubt an important piece of nature but they are under threats from the past century. Due to human activities – including the burning of fossil fuels – the average temperature of the earth has been rising. The rise in average temperature of the Earth melts the glaciers quickly than the accumulation of ice on it. As a result, the total amount of glacial ice of the earth is shrinking. Melting of glacial ice is raising the sea level, and rise in sea level is eating-up the coastal regions. The amount of available fresh water is being reduced. The salinity of sea water is being reduced which pose a threat to some species of fishes and corals. Glaciers usually move few feet a year but a glacier in Pakistan called Kutiah glacier moved at a rate of 12 km in 3 months – breaking all the records of glacier speed. Two large continental glaciers of Antarctica and Greenland were found to have about 99% of the total ice available in the glaciers of the Earth. If the Antarctica and Greenland ice sheets were to melt, they would raise the level of Oceans by 70 meters. At this level, London will be completely under the ocean. Abdul Wahab, "Glaciers," in Science4Fun, April 12, 2019, http://science4fun.info/glaciers/.